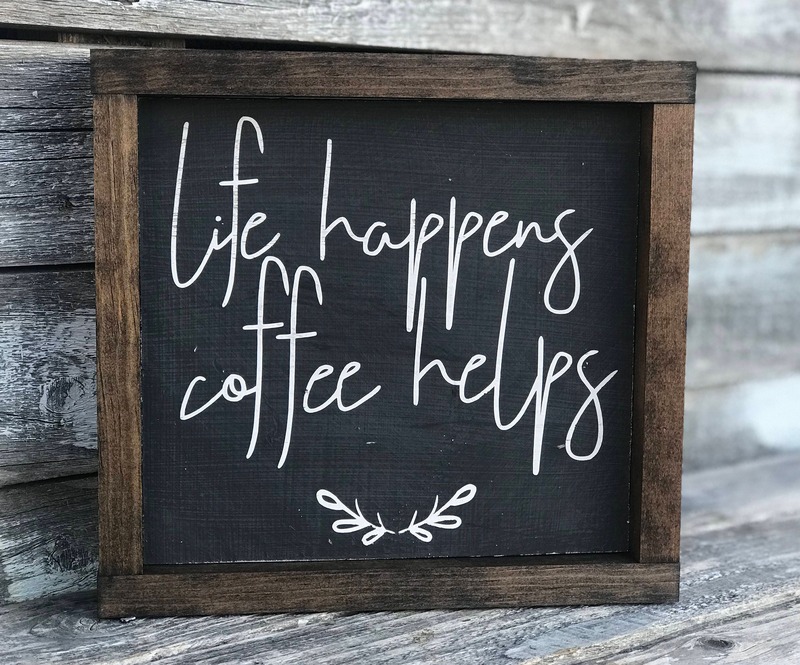 We LOVE coffee!! 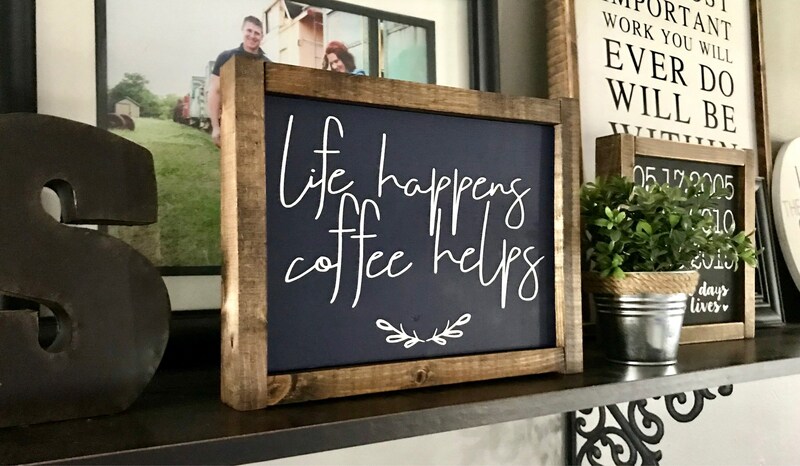 This sign proves it. 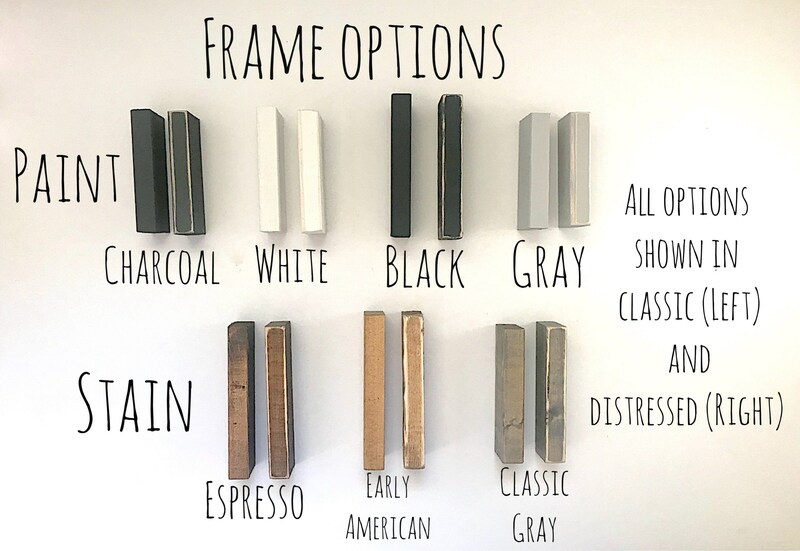 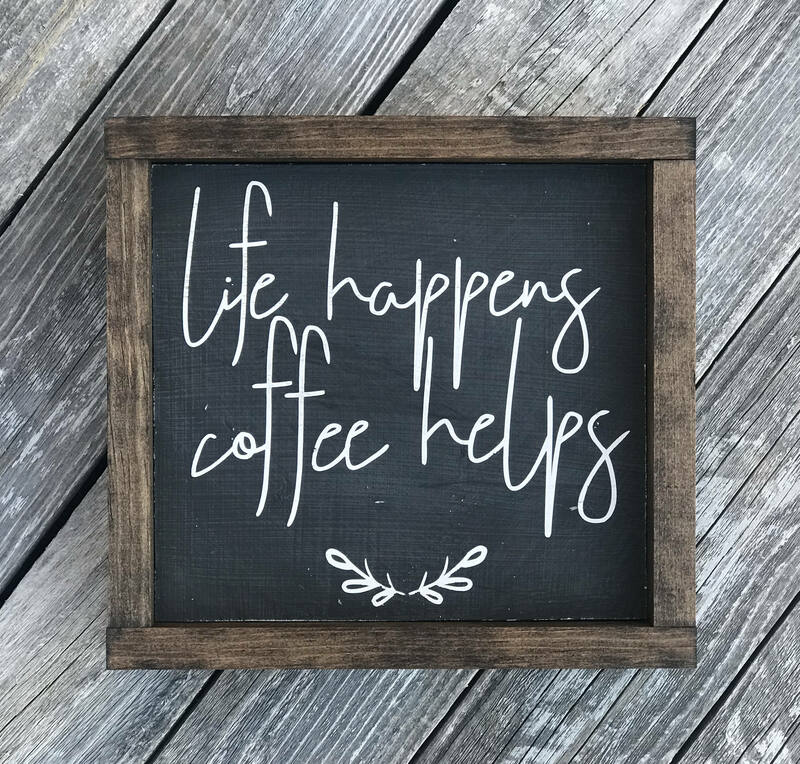 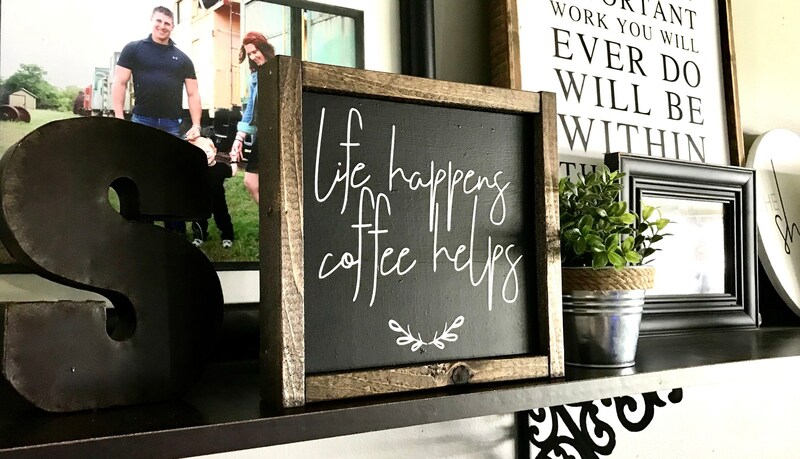 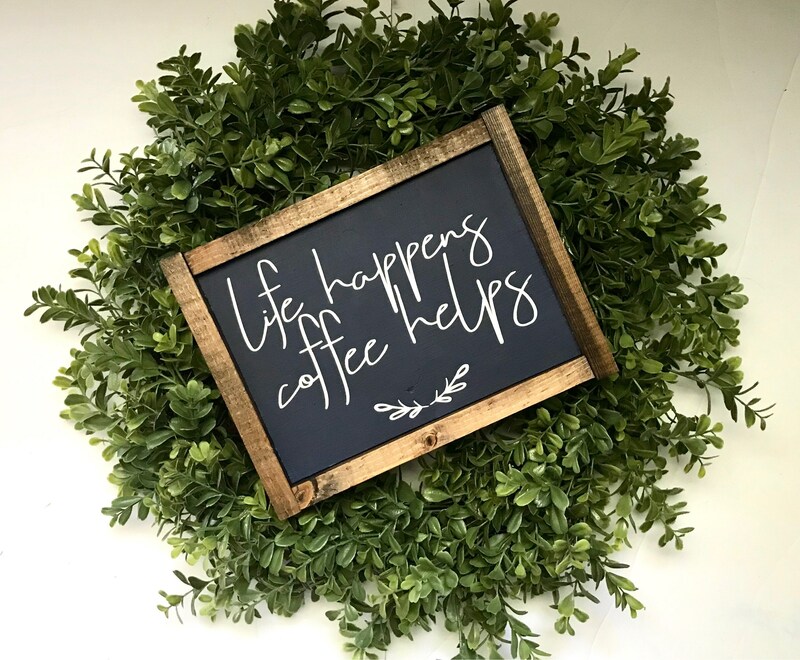 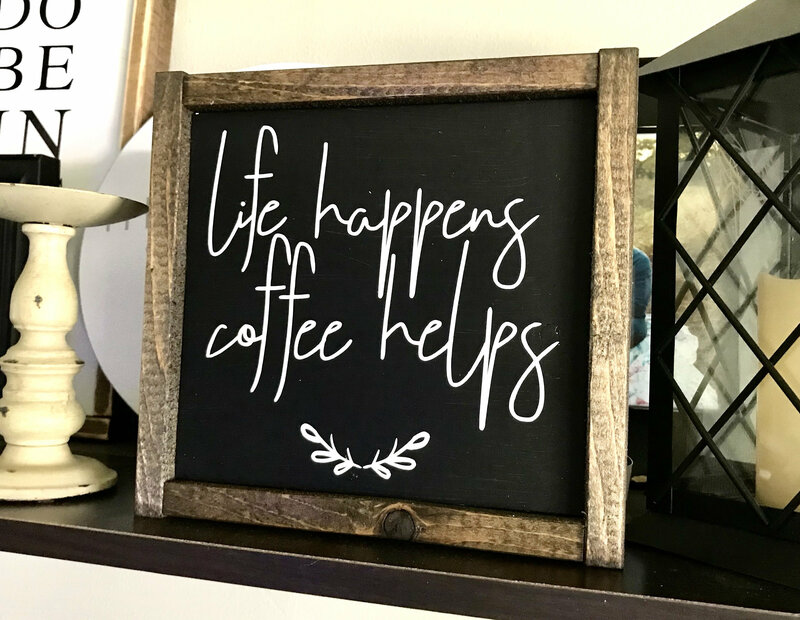 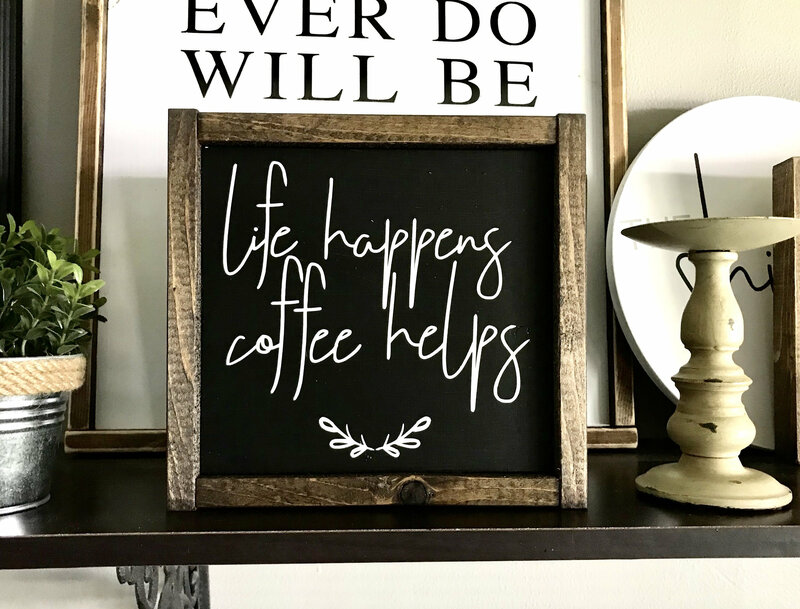 Perfect sign to add to your coffee bar or kitchen counter. 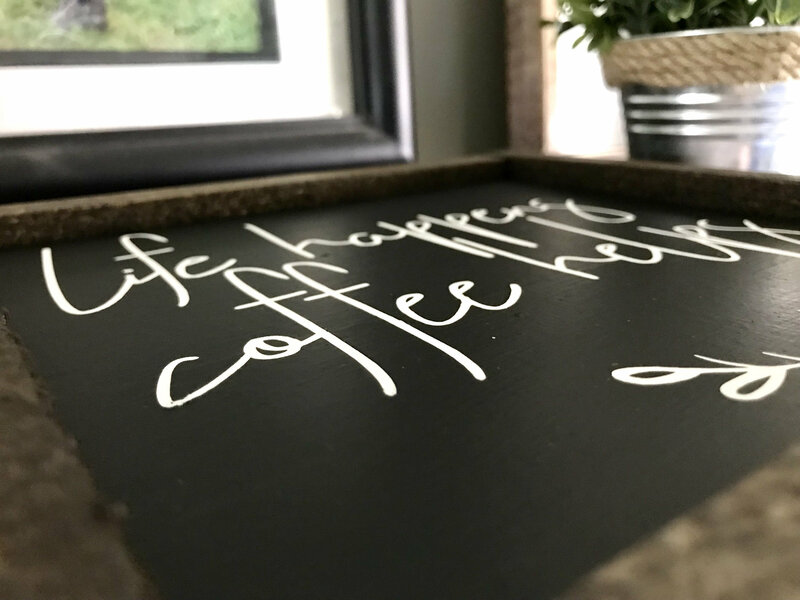 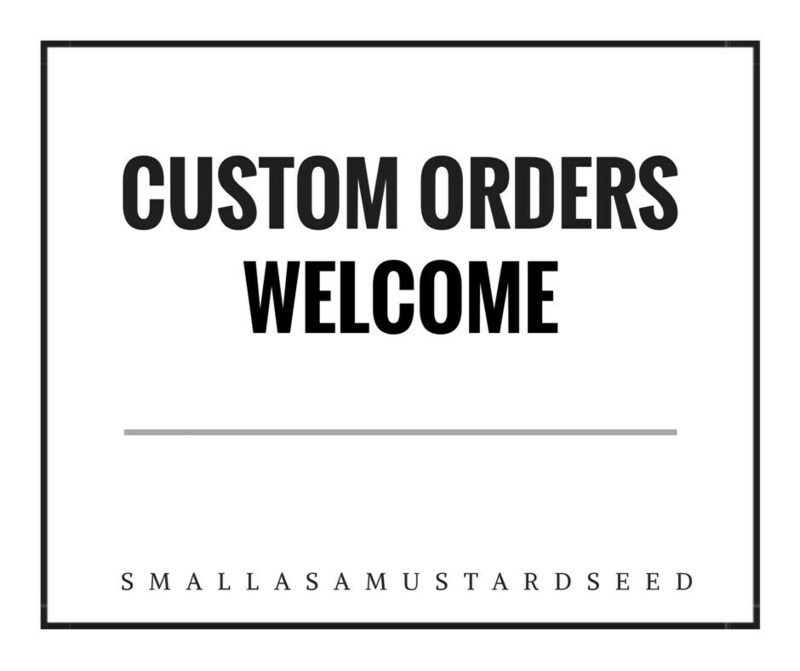 Sign is perfect size to compliment your existing decor.